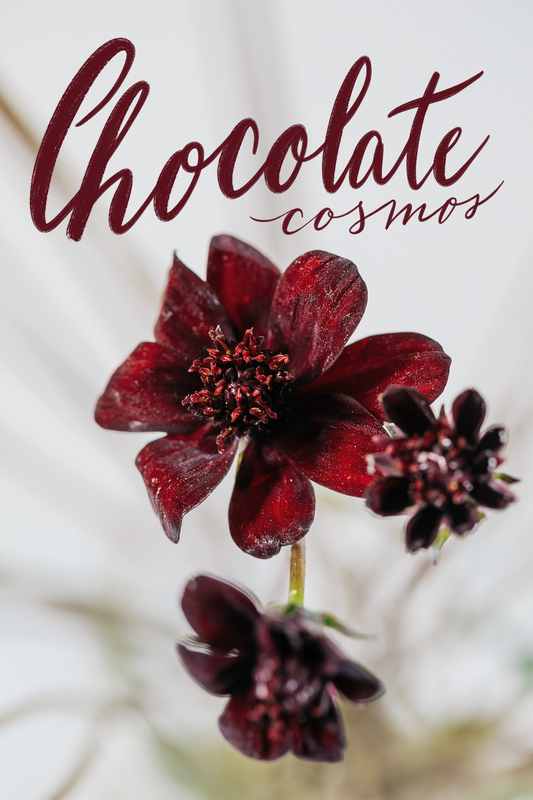 Description: Chocolate Cosmos have long stems with daisy-like flowers made up of flat petals and ray florets surrounding a center of disc florets. The flowers have a chocolate-like fragrance. Shelf Life Tips: Chocolate Cosmos last about four to six days as a cut flower. Keep away from fruit and out of sun light. Fun Facts: Cosmos are October’s birth flower.